Housing prices have gotten so expensive that it can be challenging to come up with a down payment equivalent to 10% to 20% of the home price. Fortunately, not all mortgages require a down payment — or at least not a big one. 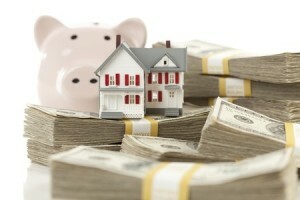 Some lenders have special mortgage programs with low or no down payments. There are also a growing number of opportunities to obtain subsidies for down payments. If you or your spouse are a veteran you may qualify for a VA mortgage. VA loans are the cheapest type of mortgage loan available. They require no down payment and no mortgage insurance is required. The only requirement, as the name of the program suggests, is that you or your spouse must have served in the U.S. military at some point. These loans have lower interest rates than most conventional loans do. They do require a higher credit score than FHA, most lenders require a minimum 620 credit score to receive 100% financing. Because they are 100% financing lenders have higher credit score requirements. Typically you will need a minimum 640 credit score to qualify for a USDA mortgage. When you think of the term “rural” you generally think of farms and ranches. However, about 97% of the country is in an eligible USDA location. Most areas that are 30 miles outside of major cities are USDA eligible. You might qualify for an FHA loan with a 580 credit score and a low down payment of just 3.5%. One of the great things about FHA loans is that the down payment can be a gift from a friend or family member. Up to 100% of the down payment amount can be gifted to the borrower allowing for 100% financing to those who are receiving a gifted down payment. The FHA also allows for higher debt-to-income ratios than other types of home loans — sometimes up to 50%. Fannie Mae’s 97% loan-to-value mortgage requires just a 3% down payment. To qualify for this loan program, you must have at least a 620 credit score. You’re also allowed to borrow up to $424,100, which is over $150,000 higher than the FHA limits. Fannie Mae’s loans also allow 100% of the down payment to come from gift funds. You can also take out another loan for the down payment; or, better yet, obtain a grant for the down payment and you don’t have to repay it. Grants for down payments are available through state and local organizations that receive funding from the U.S. Department of Housing and Urban Development. To find out which HUD-backed programs are available in your state, check out the agency’s online listings. You can find additional opportunities on Down Payment Resource‘s website. It includes information on second mortgage loans that provide funding for down payments, along with details about mortgage credit certificates that you can apply toward your down payment — instead of waiting for the next time you file a tax return to claim the credits. Depending on where you’re hoping to buy a home, you might be able to find just enough opportunities to reduce your down payment to something you can afford.